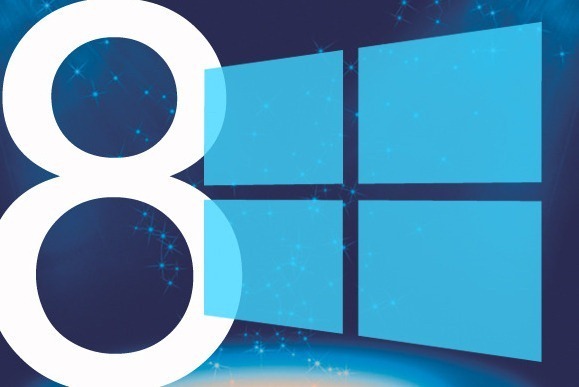 Windows 8 has undergone plenty of changes, there’s plenty of new features like Smart Search, the new Picture Password and that’s before we even talk about the new Metro UI. However, Microsoft hasn’t forgotten to work on improving some of the existing features in Windows such as the various network options. In this post, I’m going to have a look at the various different network options and settings that are in Windows 8. 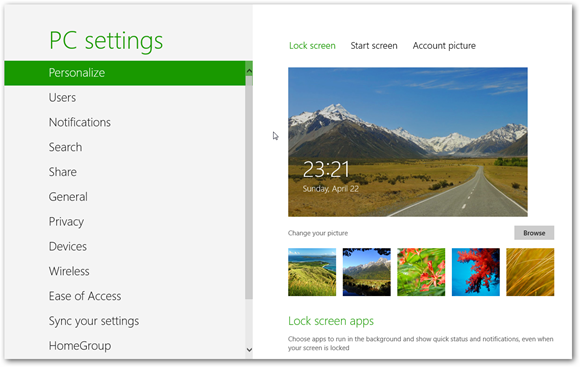 To access them, open up the Charms Bar (Windows Key + I) and then select “More PC Settings”. First off I’m going to have a look at the settings for Wireless networks. 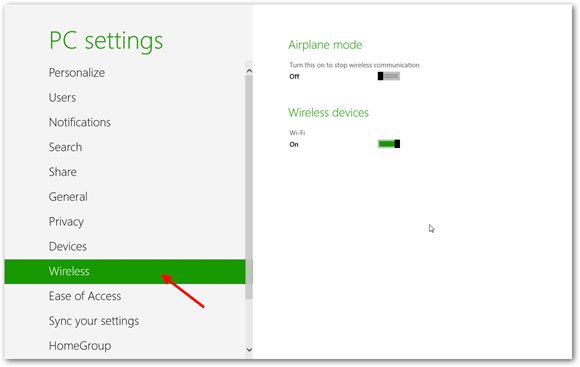 Select the “Wireless” tab from the menu on the left. You will now see options to turn “Airplane Mode on and off.” Airplane mode turns off all of your devices radio’s so you will no longer be able to send or receive any data. It’s handy if you’re on a flight or want to save your battery. 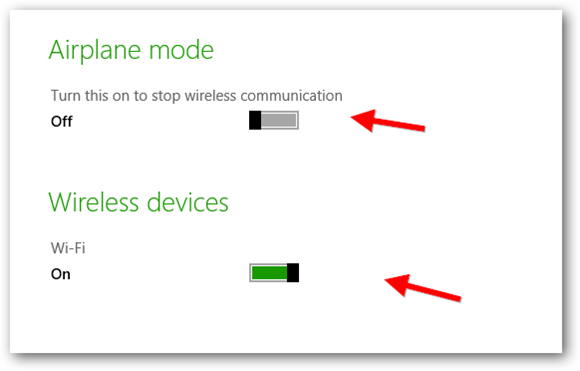 The second option is to turn your wireless on or off. The other network setting available to us is to do with Homegroup. 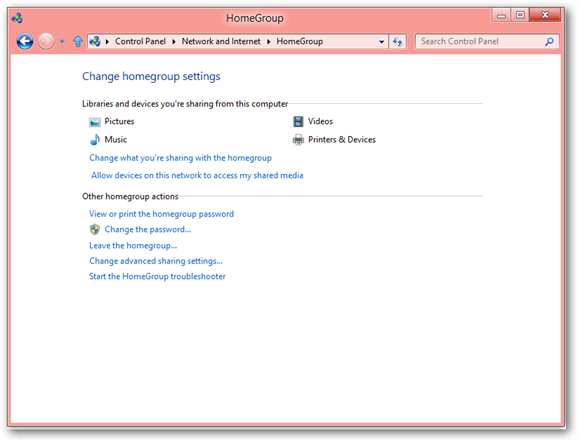 For those of you who don’t know, Homegroup is a new feature that was introduced in Windows 7 where you can share files and folders with other computers on your home network. Select the Homegroup tab from the menu and you will be presented with a list of options. 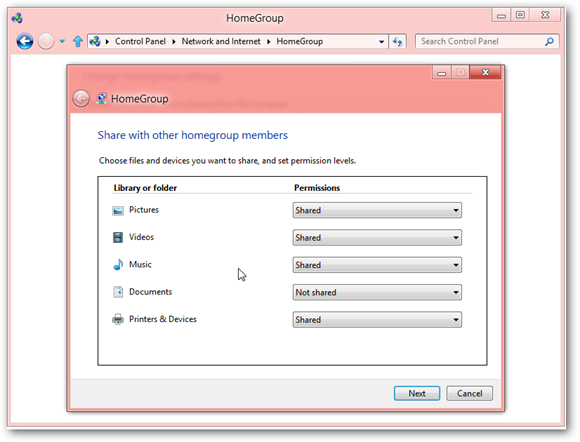 You can easily choose what files and folders you want to share on your homegroup by turning them on or off. To access more advanced network settings you will need to access the control panel. 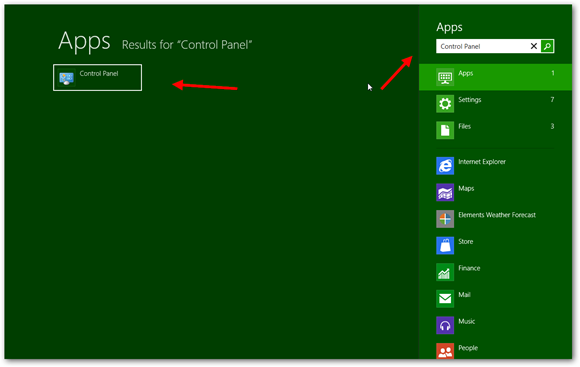 Just type “Control Panel” into the Windows 8 search box and you’ll find it. 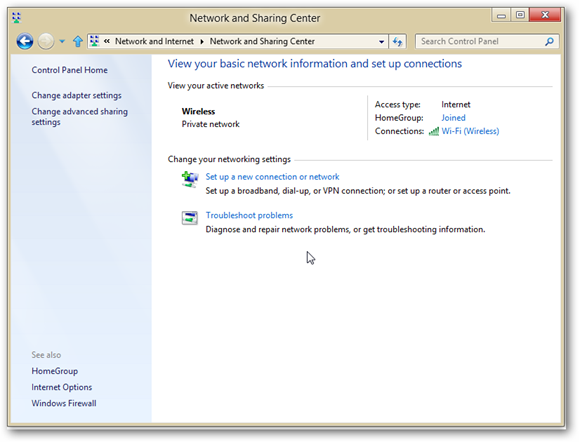 If you select the “Network and Sharing Center” you will be given an overview of the type of network you are currently connected to. As you can see from the screenshot below, I am currently connected to a Wireless network and I’ve also joined my HomeGroup. We’ll look at the HomeGroup in the next section, for now, we’ll look at more detailed information about my network connection. 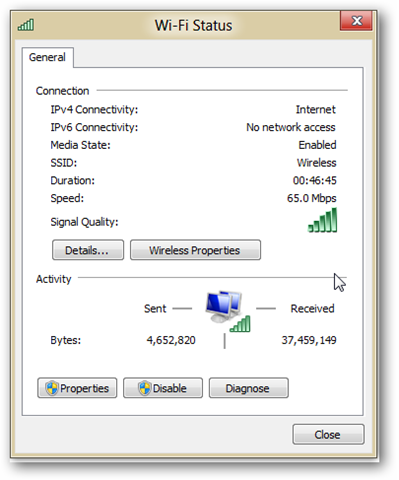 If you click on the blue text beside Connections as shown below, you will be presented with more advanced settings and information about your network. This menu will come in handy if you need to troubleshoot your network, disable one or view more information about it for some reason so it’s worth knowing about. 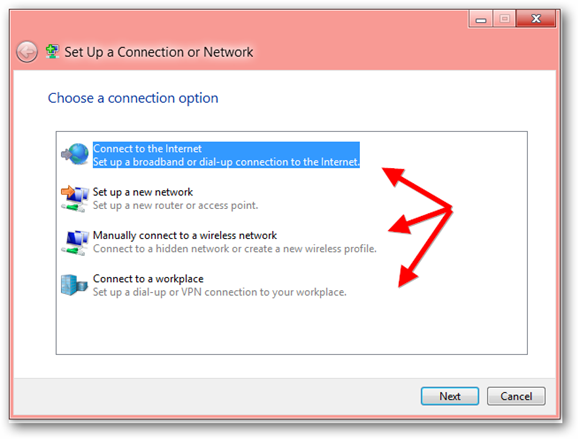 Clicking this will bring you into the network wizard where you can choose the type of connection that you’d like to set up. Most people will only ever be interested in setting up an Internet Connection but the more advanced users may find the other options helpful sometimes. Clicking next will take you step by step through the wizard and the process of setting up a new connection. Back at the Network and Sharing Center homepage again we see that there’s also an option to use a troubleshooter. 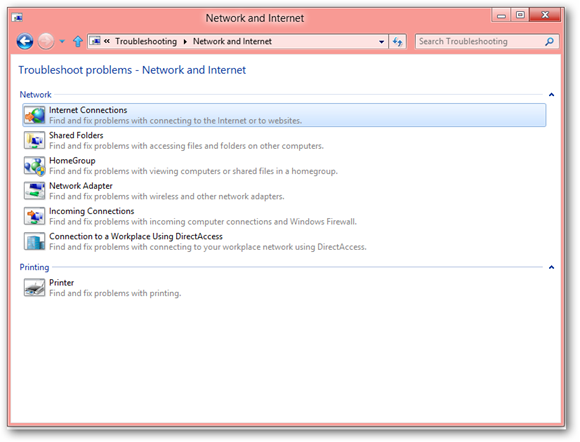 Selecting this will launch the troubleshooter and it gives you an extensive range of options to help you troubleshoot any network issues that you may be having. Finally, now we are going to look at the HomeGroup settings. 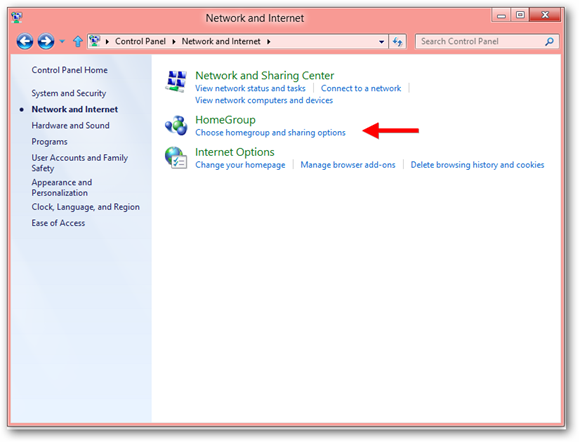 Back at the Network and Internet page, we are going to choose HomeGroup. You will now find yourself presented with a variety of settings for your HomeGroup. As we covered earlier, you can choose what files and folders you want to share on your HomeGroup, but now you also have a few more advanced options. 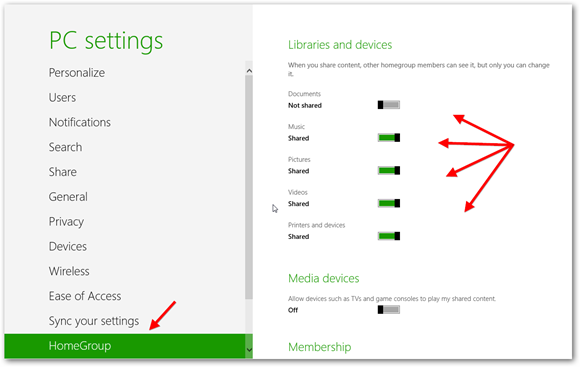 You can change what you are sharing be selecting the “Change what you’re sharing with the homegroup” option. Then you can choose what you’d like to share or keep private. 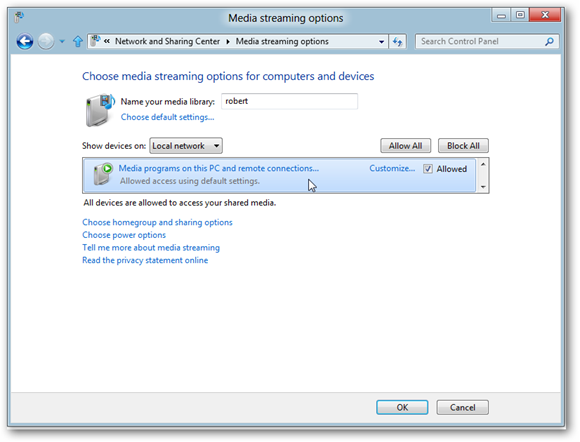 The second option we have is to choose what devices are allowed to access your shared media. You will now find yourself presented with a variety of options that you can use to edit how your machine appears as a media device. 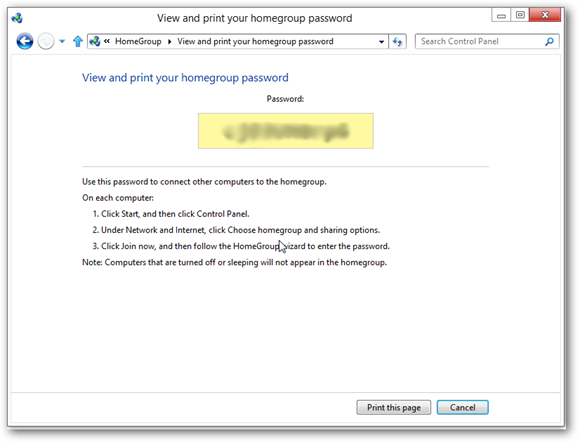 Selecting “View or print the homegroup password” will present you with a window displaying your Homegroup password (if you’ve set one up, of course) which you need to give to people who you want to join your HomeGroup. However the default HomeGroup password is generally just a collection of random characters, so feel free to change it to something more familiar by choosing the “Change the password” option. The final option you have is to change advanced sharing settings. Here you can edit various different options like whether or not other computers will be able to see you when you are connected to a network. 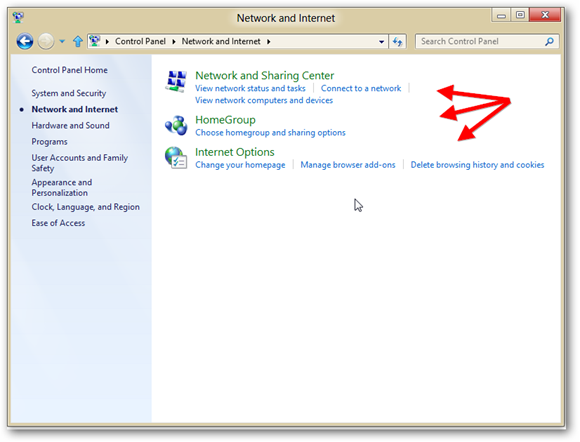 You can also turn on or off file and printer sharing and choose how Windows manages your homegroup connections. 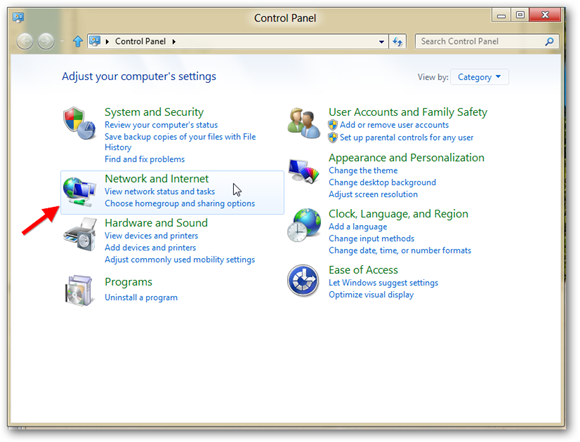 You can also configure how your PC appears on other networks other than your own private one for security purposes. For example, you might want to turn network discovery off when you are connected to a public network in a Cafe for security and privacy purposes. 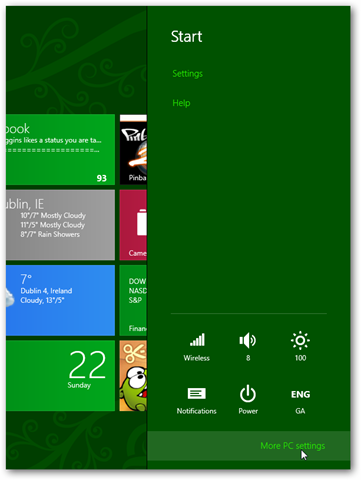 Now you’ve had a pretty good walkthrough of all the various different network settings and features that are available in Windows 8. Most users who are familiar with Windows 7 will probably recognize most of these features except for the new options Microsoft added in the Metro UI.